Goodreads: Jessica Chamberlain, newly separated and living with her two sons in a small Iowa town, can’t believe that a tragedy in another state could have anything to do with her. But when her phone rings one quiet morning, her world is shattered. As she tries to pick up the pieces and make sense of what went wrong, Jess begins to realize that a tragic death is just the beginning. Soon she is caught in a web of lies and half-truths—and she’s horrified to learn that everything leads back to her seven-year-old adopted son, Gabriel. Kritters Thoughts: A mystery thriller that at the same time as keeping the reader guessing also informed me about an interesting side of adoption in our country. Jessica Chamberlain has recently separated from her husband due to an extreme rough patch in their marriage. In the first few chapters she is informed that he has passed away and things could possibly be a little shady. She tries to comfort her two sons while at the same time getting a few mysteries solved. I have to be honest and say that I guessed the culprit a bit early on and was disappointed when I got it right so fast. There were a few things that stuck out and helped me nab the killer pretty quickly. It made me sad, but didn't ruin the reading experience because there was more than a mystery in this book. The thing that made me love this book so much was what I learned about adoption. I appreciated reading about a family that had one natural born child and one adopted and watching a mom care and love for both sons. I loved reading about how she navigated this family and was able to take care of both boys and their individual needs to their age and personalities. 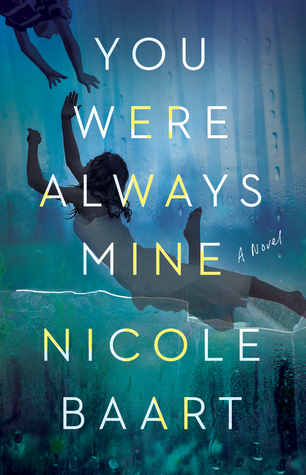 I am planning on passing this book onto the readers in my life who are more slow to pick up a mystery, but who really enjoy a good family drama.